Creating the right atmosphere for a restaurant is a challenge, as it is essential to take care of details so that the only protagonist is the food and its surrounding atmosphere. 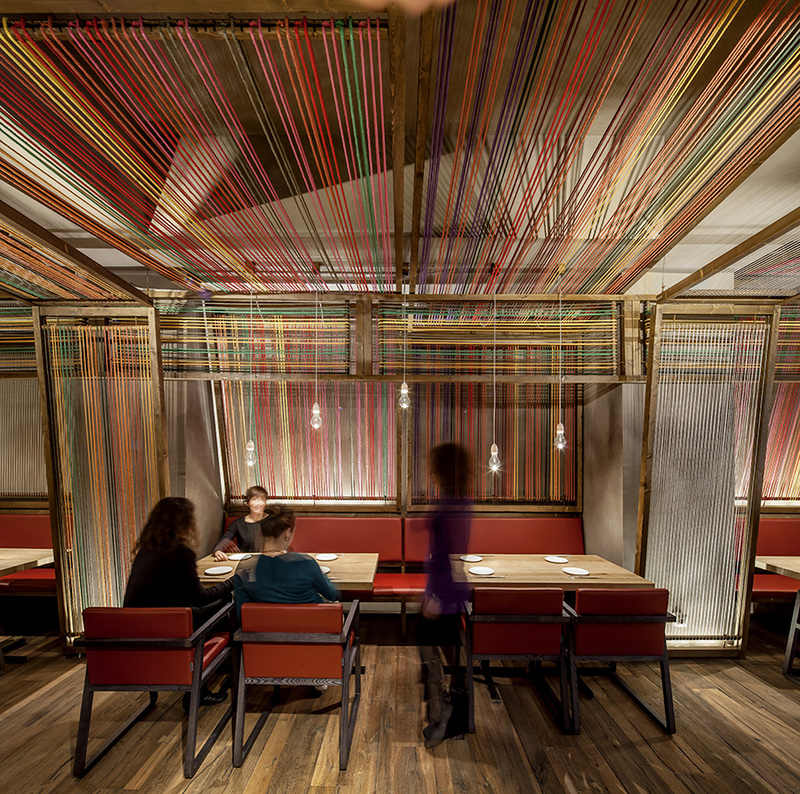 This Peruvian Japanese restaurant – takes into account the lighting concept as, “Merger between light – darkness and simplicity – color” having colorful looms as its central element. 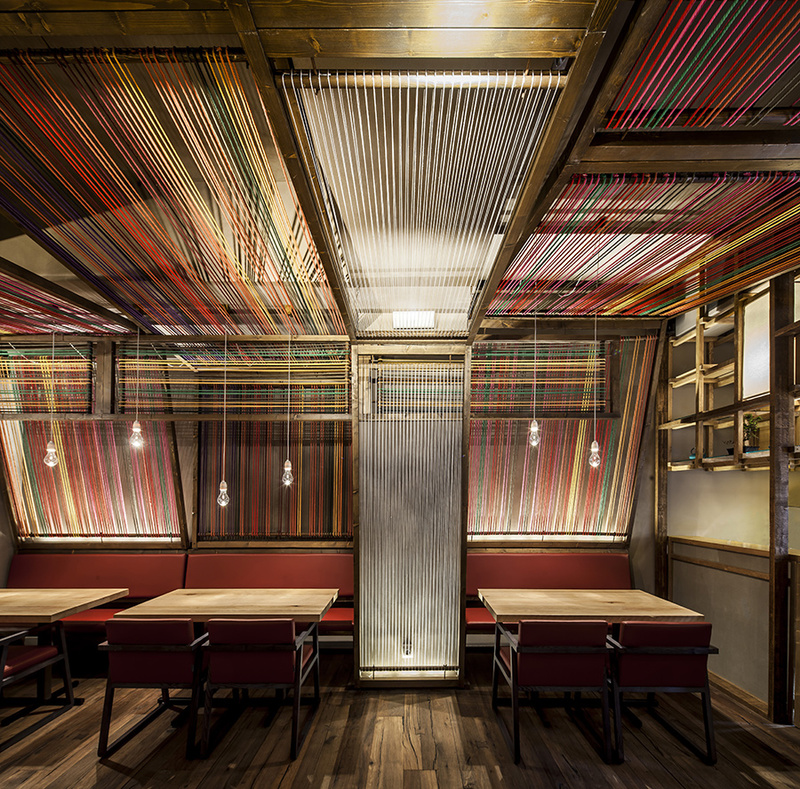 The lighting concept is manifested through grazing light on some colorful looms, like a second skin, enfolding the entire space taking its personality and dynamism while providing a secondary lighting system for the food area. It is a play of purity, brightness and transparency reflected in the sensual luminaries for each table and light lanterns at the entrance to welcome visitors. 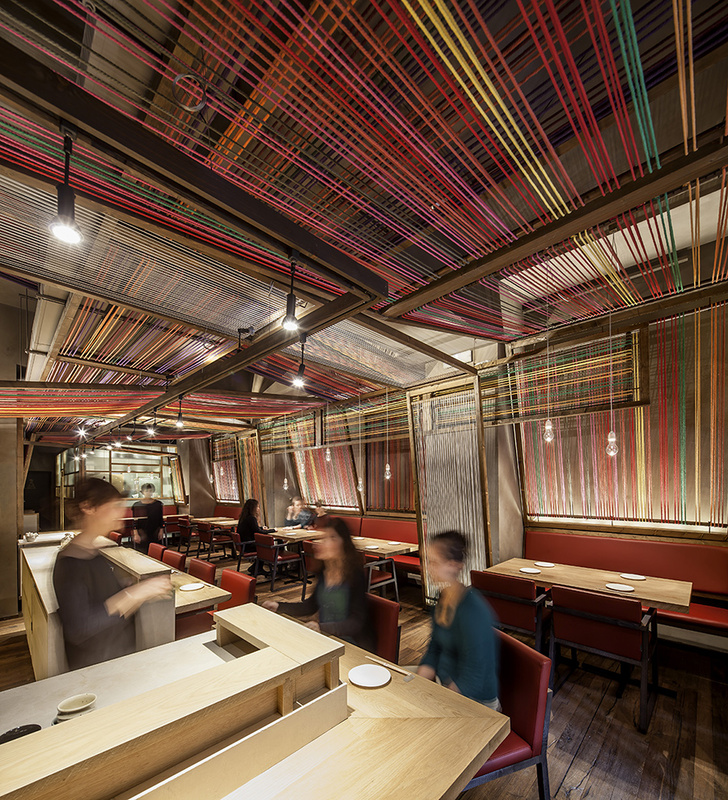 The result reveals a perfect balance of light and atmosphere where the client is dipped into the new “Nikkei” gastronomic experience.